Nowadays, anti-aging is a trending topic. Although the U.S. Food and Drug Administration (FDA) insists that no anti-aging cream or lotion has any medical value to actually “reverse” aging or keep wrinkles from marring your face in old age, that doesn’t mean they’re totally worthless. At the very least, they can help moisturize aged dry skin temporarily or assist in its preservation of its youthfulness for the longest time possible. In regards to picking the best anti-aging products in the market today, you should go for basic products first to add to your skincare regimen then work your way up to more advanced products like prescribed retinol (Vitamin A) or estrogen-laced cream to get rid of fine lines and make your skin more supple. Here are the things you need to get and do in order to find the right anti-aging products for you. Research Then Shop: Research isn’t just for scientists any longer. This guide is a good starting point but you can “google” the rest by yourself for more info. Exfoliators: These products slough off dead surface skin cells with microbead scrubs and chemical peels. The skin revealed underneath will make you look healthier and more youthful. Hydroxy Acids: To properly exfoliate your skin and stimulate new skin growth, you need this synthetic form of fruit acid known as Alpha, Beta, or Poly Hydroxy Acid. Moisturizers: The older you are the dryer your skin gets. To counteract this, most of not all anti-aging formulas contain moisturizing agents to minimize wrinkle appearance. Antioxidants: To combat against oxidation and free radical molecules, you need antioxidant assistance. Retinol: This topical form of Vitamin A encourages healing and healthy skin but requires acclimatization since it can irritate skin (particularly sensitive skin). Vitamin C: This famous vitamin just happens to be an anti-aging product too that minimizes fine lines and stimulates collagen production. Coenzyme Q10: According to certain studies, this antioxidant reduces the fine lines around the eyes and has sun damage protection as well that should go hand-in-hand with the sunscreen ingredient. Kinetin: This possible antioxidant plant hormone may improve the appearance of your fine wrinkles and even out uneven pigmentation. It’s also less irritating than retinol. Sunscreens: Sun damage from ultraviolet ray exposure contributes to premature aging more than anything else. Protect yourself from the sun by putting on sunscreen from anti-aging products. Here are the step-by-step methods you can go about choosing the right anti-aging product for you. The Internet exists. Use it. If you have an existing skincare regimen, learn to adapt different techniques together as part of your routine. You won’t only have to take care to choose between different types of anti-aging product outlined below. You also have to choose the best product for you in each category. To be more specific, you need the best exfoliators, moisturizers, antioxidants, and so forth. Be careful in getting skin products that won’t irritate your skin as well. As a rule of thumb, you need to first exfoliate your face before putting creams on it one after the other before finally moisturizing it then putting on some sort of mask before you sleep. At any rate, you need to shop for the following item categories and buy the brands that are most affordable to you and/or works best for your dry/sensitive/oily skin. Don’t leave dead surface skin cells on your face. You should instead induce the healing process and get the fresh new skin down below by availing of the best exfoliation products in the market. They’re available to you in over-the-counter form as chemical peels and facial scrubs. Some of these exfoliators even include anti-aging ingredients that penetrate better into the fresher skin layers without the dead skin cells getting in the way. Regular exfoliation is a necessity for good anti-aging skincare or even any skincare regimen from your teens onwards. This should be done before applying any other products since it can reduce their effectiveness that way. Exfoliate and wash your face first to scrub away dirt, oils, bacteria, microbes, and dead skin cells to reveal the new skin from underneath then apply your other products with moisturizer as the last ingredient. Exfoliation normally means using a facial scrub with micro beads in order to gently but surely rub off dead skin cells along with dirt, grime, grease, and microbes. However, Hydroxy Acids such as Alpha Hydroxy Acid (AHA), Beta Hydroxy Acid (BHA), or Poly Hydroxy Acid (PHA) exist in order to safely and healthily acid peel the dead skin away, revealing the new skin underneath. The acidic chemical exfoliants are found in cosmetic products are synthetic forms of fruit acid, so don’t think that using these chemicals on your face is the equivalent of pouring hydrochloric acid over it or anything. You should beware about using these agents when in a sunny region or during the summer. These acids actually increase your photosensitivity or sensitivity to sunlight, thus it should be paired up with sunscreen (SPF 30 or higher) or protective clothing. When choosing moisturizers to use on your skin to preserve it and keep the signs of aging at bay, you should pick one that coincides with your skin type. You need high-grade moisturizers for dry skin, facial wash with moisturizer for oily skin, and mild moisturizing cream for sensitive skin. The drier the skin the more susceptible it is to wrinkling. In regards to moisturizing at night, it’s important to remember that nighttime moisturizers are heavier in order to deeply penetrate into your skin as you sleep. If you want a moisturizer you can use during the day, you need to specify to the store clerk that it’s for daytime use only. What’s more, many daytime moisturizers include sunscreen to boot (SPF 15 to 30 and higher) in order to protect your skin from further damage and to keep its moisture from running out. Antioxidants such as retinol (Vitamin A), Vitamin C, Coenzyme Q10, and kinetin all work to induce healing of your skin, repair environmental damage, and destroy oxidation-inducing free radical molecules that cause your skin to wither and age. Oxidation is one of the processes that jumpstart aging, so in order to delay skin aging, you can depend on antioxidants to delay the oxidation process. The claim here is that skin will remain younger, smoother, and healthier with the right dose of antioxidants. However, as the FDA will vouch, even antioxidant-filled ant-aging creams have no medical value. Just as you can’t unspoil spoiled milk, it’s the same deal with heavily wrinkled skin (your best bet there is cosmetic surgery or Botox injections). However, antioxidant treatments early on can preserve the youthfulness of your skin for the longest time possible like milk inside the fridge. Retinol is also known as Vitamin A (or rather, it’s a topical antioxidant compound derived from Vitamin A). It’s one of the first anti-aging ingredients introduced in the market and it continues to be used to this day. You can avail of it through prescription form (its most potent form) or nonprescription/OTC form (its less potent form that needs to first be converted into retinoic acid in order to work the same way as prescription retinoids). This Vitamin A derivative shouldn’t be used by pregnant or nursing women, because it increases the risk of birth defects care of the milk being excreted. When exposed to sunlight, the effectiveness of retinol is decreased, so it’s suggested you apply retinol at night or get retinol with sunscreen if you’re putting it on in the day. When shopping for this product, look for those with aluminum tubing or opaque, airtight packaging. You’d think that because of its ubiquitous nature as a supplement, a regularly recommended fitness vitamin, and its constant appearance in many a multivitamin that we already have enough Vitamin C to spare. However, sometimes supplements and eating Vitamin-C-enriched food like bananas, citrus fruits, tomatoes, and so forth isn’t enough to meet your Vitamin C in relation to anti-aging. You might even get depleted levels of Vitamin C the more you age. 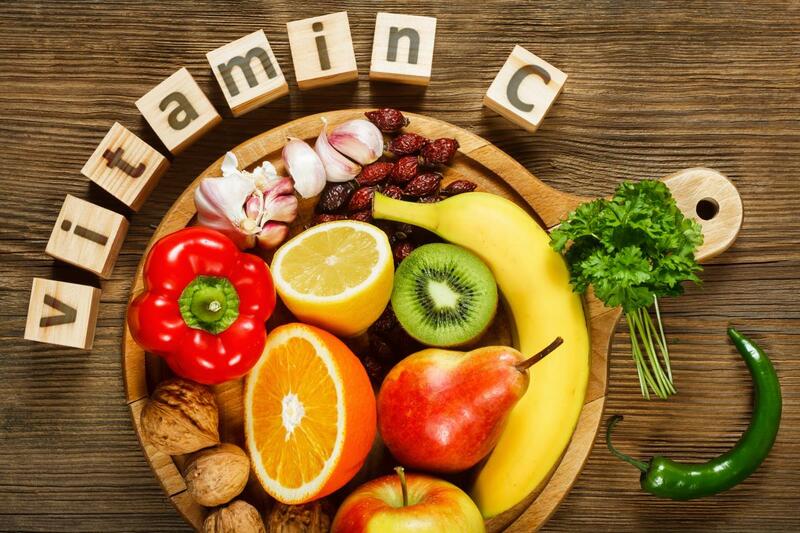 In fact, as you get older and the signs of aging become even more apparent, it becomes even more important than ever before to get topical Vitamin C on top of the Vitamin C you’re metabolizing from food and the Vitamin C you’re getting from multivitamin capsules. Vitamin C has many benefits, but as far as anti-aging is concerned it’s most recognized by the way it minimizes fine wrinkles, heals scars, and stimulates collage production. Reduce the fine lines around the eyes and protect yourself from sun damage further (on top of the sunscreen you’re getting from certain other cosmetic products) by availing of products with Coenzyme Q10 or CoQ10. This nutrient is involved in cellular energy production. It’s not as famous as Vitamin A or C but it’s still noteworthy because it’s a special kind of antioxidant. For the best results, CoQ10 needs to be turned into ubiquinol by your body first to strengthen your cardio and slow down the manifestations of aging. Its benefits were discovered by Dr. Karl Folkers in 1958. It has come a long way since then, becoming a mainstay antioxidant ingredient in many an ant-aging serum or cream out there. Aside from fighting off free radical formation, the lipid-like ubiquinone (yet another CoQ10 alternate name) is needed to make energy from oxygen and nutrients. This plant hormone antioxidant can improve the appearance of fine lines on your face and even out uneven pigmentation of your skin. It has many of the benefits of Vitamin A or retinol but it’s potentially less irritating to the skin as well. Kinetin’s modus operandi roots from evidence that it can help the skin retain the moisture it has by collagen production stimulation and cell division. It was originally isolated by Miller and Sloog et al. from autoclaved herring sperm DNA as a compound. Its name is actually a reflection of its ability to induce cell division (with the presence of auxin). It’s used to induce callus formation and the regeneration of shoot tissues from callus. Scientists used to think kinetin is something that doesn’t occur naturally. In 1996, it was discovered that it exists naturally in the DNA cells of many organisms. Wrinkles and premature aging through sunlight exposure (photoaging) is mostly the fault of the star nearest us—the sun. To be more specific, ultraviolet rays don’t only tan our skin before it sheds off like the scales of a snake (after those skin cells commit suicide). UV rays also damage skin rather permanently the more exposure you get from it. Reduce your sun exposure to get fewer wrinkles. It’s also for this reason that most of not all anti-aging creams have some sort of sunscreen ingredient in them with SPF 30 and above as its rating. They’re one of the most effective anti-aging or aging prevention products available since they safeguard you from UV ray damage. To be more specific, use broad-spectrum sunscreens to prevent sun damage on your skin that accelerates its aging and susceptibility to cancer. Did you enjoy the article? Have you learned something interesting and useful from it? Please share it with your friends and family if you did. When it comes to shopping for the right anti-aging product for you, knowledge is power. You can pick the ones that work for you then discard what doesn’t work or causes you serious side effects (as in the case of retinol on sensitive skin). Skin changes throughout your lifespan, and every stage requires different types of skincare treatments. Anti-aging products are available in a wide range of formulas in order to target the different skin stages. Some products even indicate the age range by which they’re intended for a la the ones found in toys. Regardless, you should choose them by skin type rather than stick to the recommendation on the label. Also, as always, consult your dermatologist if you have any further questions.